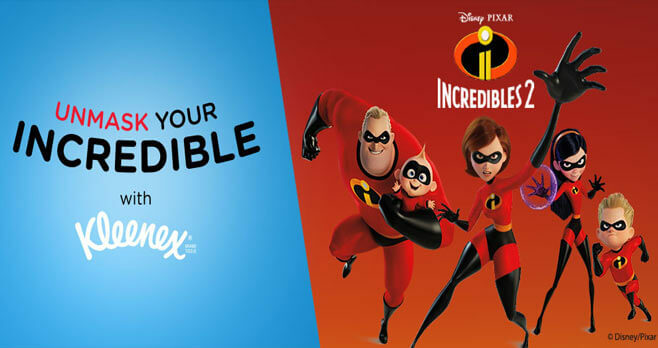 Share a photo wearing your Incredibles mask found on select Kleenex boxes on Instagram or Twitter using the hashtags #UnmaskYourIncredible and #Sweepstakes for a chance to win the Kleenex Unmask Your Incredible Sweepstakes. You could win a trip to Disney California Adventure Park for you and your family. Ends: Ends on August 31, 2018 at 11:59 p.m. ET. Prize: The Grand Prize consists of a 4-Day/3-Night vacation package for four to the Disneyland Resort in Anaheim, California. Eligibility: The Kleenex Unmask Your Incredible Sweepstakes is open only to legal residents of the 50 United States and District of Columbia who are at least 18 years old at the time of entry.